The inaugural Great Auburn Epic takes place in Auburn, the Endurance Capital of the World. This mountain bike race features four timed cross country stages on the spectacular trails at Auburn State Recreation Area (Auburn SRA). The race starts with a 4.5 mile transfer along Foresthill Road including a crossing of the Foresthill Bridge – the highest bridge in California at 730 feet. Stage 1 is on smooth single track on the Foresthill Divide Loop from Grizzly Bear House to Drivers Flat. Stage 2 features four more miles on the Foresthill Divide Trail and then 3.5 miles of amazing flowy, twisty turns and switchbacks of the Connector Trail, where racers are treated to amazing canyon views above Lake Clementine. Stage 3 takes place on Culvert Trail – a flow trail with banks, berms, jumps and a tunnel under Foresthill Road. 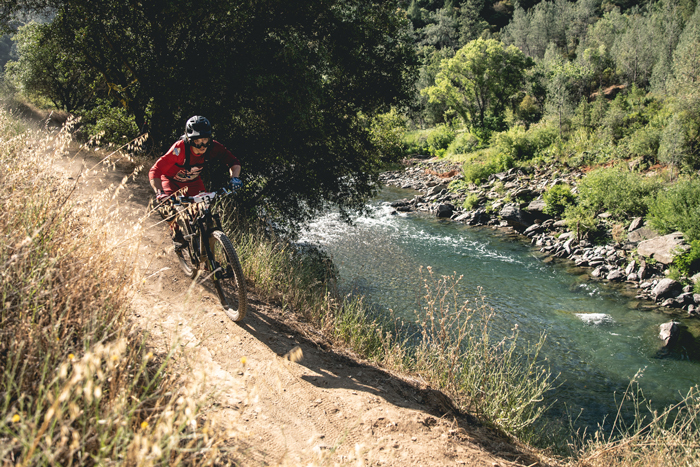 The fourth and final stage is the Confluence Trail from Mammoth Bar OHV along the Middle Fork of the American River to the confluence where the middle fork meets the north fork. Post-race party with BBQ, craft beer, awards and shenanigans round out a great day on the bike. Professional timing provided by California Enduro Series.